As I have said before, once in a while you stumble across some music so outside your normal listening scope that it is laughable, yet you can help but like it. I checked out Chelsea Wolfe's latest album on a whim, mostly because they ware talking about it on a metal blog I frequently visit. They advertised it as an interesting alternative to metal. 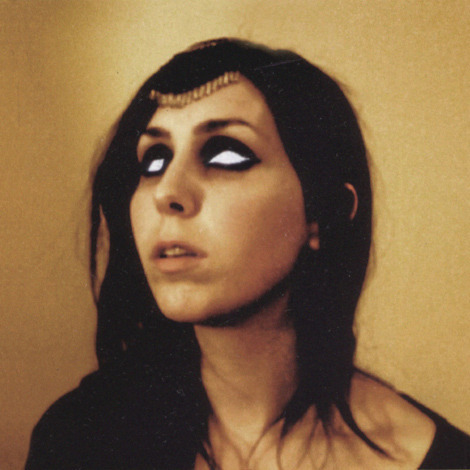 Chelsea Wolfe is an indie alternative rocker who mixes a lot of slow, droing elements and bleak, folky singing. The culmination is a strange breed of music unlike any I had heard. I found myself liking Wolfe's voice and the near-constant vocal effects she uses. Upon listing to Demons, I was impressed enough to go find the album and download it. The opening track is an ear-splitting howl that sounds like it was recorded in a tin chamber. Thankfully, this is nothing but a short intro to the following tracks of doom-laden aleternative folk music that doesn't come across as either pure folk or unabashed doom. The sound is interesting, yet appealing. This isn't something you'll soon hear on the radio, but you might enjoy it. It came out of left field as something completely unexpected, but somehow I enjoyed it. At times the melodies come across flat and uninspired, so the album isn't without its faults. The cover art, though interesting, borders on the cliche and is passable. I'll rate this album as 3.8/5 stars. Check out Pale on Pale below. While interesting, it sounds like she recorded this song in her bathroom. Not my cup of tea.